Notes: Advertised as "New" in 1922 (see the advertising section for ad.). This is the middle sized one in the series, Number as 66 as that's it's voltage rating (6,600 Volts). 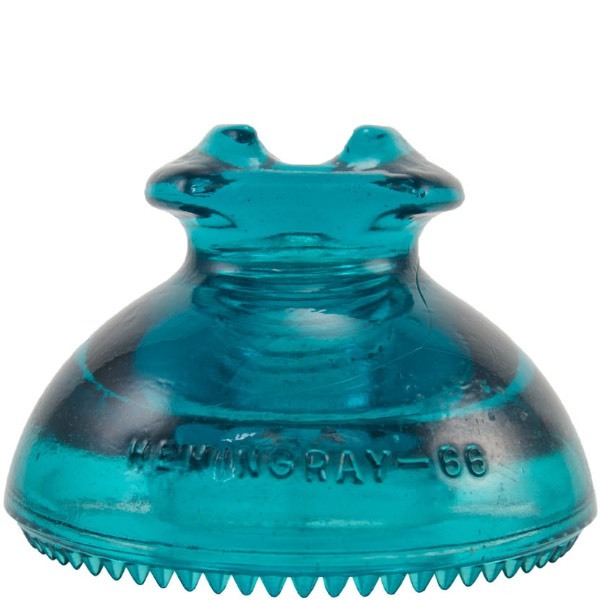 (FS) HEMINGRAY-66 (RS) MADE IN U.S.A.